Autumn is often remembered as the season of change. Should we be taking a cue from this age-old wisdom and incorporate change into our lives as well, particularly our homes? Here are a few tips to provide you with inspiration when it comes to sprucing up your home this autumn. Every season is full of beautiful colours and gorgeous natural hues, however, the fiery autumnal colours truly have no competition. From the falling leaves to the evening sky, nothing says autumn better than red, orange and yellow. If you are looking to spruce up your home this season, the first thing that you should do is change all of your decorations to reflect this colour scheme. From bedding and towels to soft furnishings and carpets, many parts of your home can easily be imbued with the true spirit of autumn. Do you like to decorate your home with beautiful flowers? If yes, then you should consider changing your floral arrangement in accordance with the spirit of autumn. Sunflowers, daisies and deep red roses are some of the flowers that can be used to make your vase look more fitting for autumn. Halloween is almost here, bringing with it the perfect opportunity to spruce up your entranceway with small pumpkins on either side of the walkway. It will not only bring an autumn inspired, serene look to your house, but it will also fill the air with the seasonal scent of the pumpkins. If you are looking to spruce up your home this autumn, then why not go all out and renovate your house completely to reflect the true spirit of the season? Replacing your doors is a great way to ensure your home is ready for everything the season has to bring. Similarly, investing in brand new LPD doors will help to refresh the look of your entire home, giving it an updated feel from top to bottom. As we all know, autumn is succeeded by winter. This is why the weather changes considerably in the latter half of autumn, making the surroundings colder and less colourful. When this happens, why not use throws, cushions and blankets to jazz up your home and provide some comfort when the seasons inevitably change once more. This will give your home a more welcoming appearance and, at the same time, keep you cosy when the chill hits. 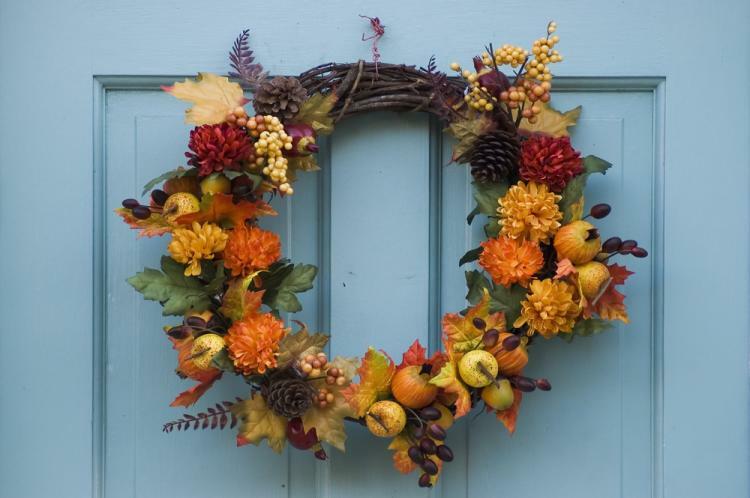 These simple decoration tips are bound to make your house both unique and easy on the eyes this autumn. So, what are you waiting for?